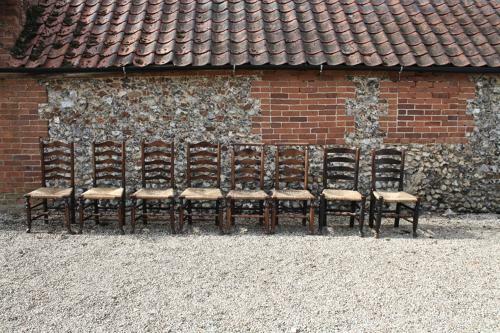 Harlequin (4 + 2 + 2) set of eight 19th century elm rush seat ladderback chairs. All in great condition except one which, although solid to sit on, has a crack in the back spindle which really needs to be repaired but we have used as in for years! The rush seats is also in good condition.